RYBINSK — PAK FA, equipped with advanced avionics and all-digital flight systems, is set to become the first operational stealth aircraft of the Russian Aerospace Forces. 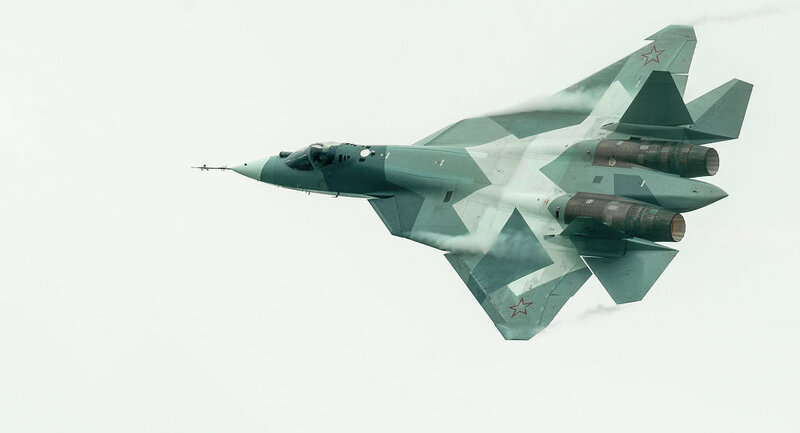 Russia’s largest radio electronics manufacturer gave a glimpse into the future of Russian air superiority confirming on Monday that components for a sixth 6th generation fighter jet are being tested on the 5th generation PAK FA T-50 prototype. Russia has begun testing hardware elements designed for a future 6th generation fighter jet, heralded as the first combat aircraft that will be able to engage targets from near space, on a 5th generation prototype that is currently undergoing flight trials according to a TASS news agency report.Vladimir Mikheyev, advisor to the First Deputy Director General of Concern Radio Electronic Technologies (KRET), a subsidiary of Russian Technologies State Corporation (Rostec), revealed that various components of the new jet have been tested on the Sukhoi PAK FA (Prospective Airborne Complex Frontline Aviation) T-50 prototype. “Standalone solutions that will be applied in the sixth-generation fighter are now being tested on the fifth-generation jet as well as on the ground-based equipment. Separate elements of the flight and navigation system have already been installed on PAK FA,” Mikheyev told TASS news. The PAK FA is a 5th generation multi-role, single seat, twin-engine air superiority/deep air support fighter slated to enter service in the Russian Air and Space Forces in 2018. 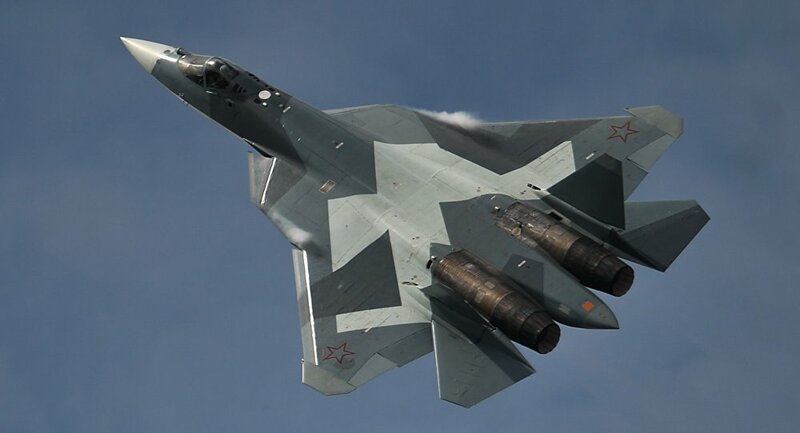 It also serves as the prototype for the joint Indo-Russian Sukhoi/HAL Fifth Generation Fighter Aircraft (FGFA) project that has tormented the US military and industrial complex that now fears New Delhi will look to Moscow for its weapons procurement needs. The sixth generation fighter jets planned to be unveiled by 2025 will consist primarily of swarms of unmanned aircrafts flying at hypersonic speed with developers saying that the jets would be able to transit through space. The aircrafts will be equipped with electromagnetic cannons – much like the Navy’s railgun – which can force an enemy’s radio detector out of operation at a 10km range. The super-high frequency weapons is so powerful, however, that it will not be installed on piloted aircrafts as it can harm the pilot. “In particular, the electromagnetic impulse, with which the SHF’s weapon will be hitting the targets, will be so powerful that it will be extremely difficult to protect a human, a pilot from his own weaponry,” explained Mikheyev. 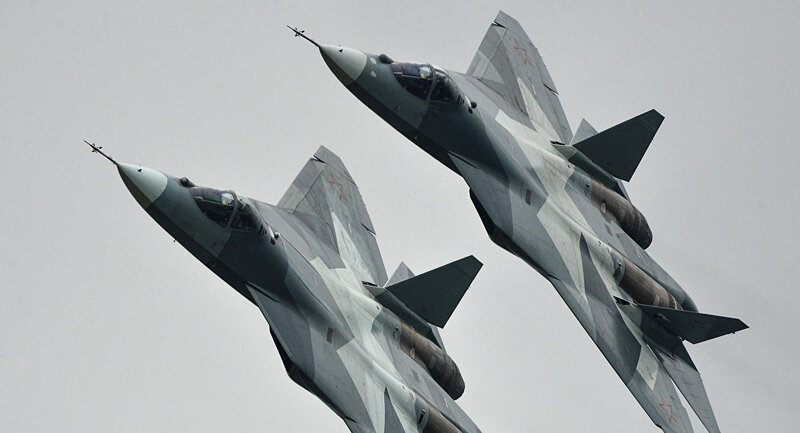 The sixth-generation fighter jet has not yet been commissioned by Russia’s Defense Ministry, but there are hopes to finish the research and development part of the work until 2020 so that KRET can produce the first sixth generation aircraft by 2025 upon the ministry’s order. Russia and India have resumed talks on the joint Sukhoi/HAL Fifth-Generation Fighter Aircraft (FGFA) project after nearly a year of stagnation, The Times of India reports. “We have got the clearance to restart the talks. Accordingly, a Russian team is here and cost negotiations began yesterday,” a high-level defense source told the newspaper on Wednesday.Russia made a new offer, under which India would have to pay $3.7 billion, instead of $6 billion, for the technological know-how and three prototypes of PAK-FA fighters, The Times of India said. According to the newspaper, the Russian delegation will also hold negotiations on the production of 200 Kamov 226T helicopters. The contract to produce the helicopters for India’s Air Force was signed during Indian Prime Minister Narendra Modi’s December 2015 visit to Moscow. The FGFA project came about following a Russian-Indian cooperation agreement signed on October 18, 2007. The estimated total cost of the project in 2008 amounted to $11 billion, which was to be covered through equal investment by India’s Hindustan Aeronautics Ltd and Russia’s Sukhoi Company.